Seattle Wine Tours wins Certificate of Excellence from Trip Advisor!! 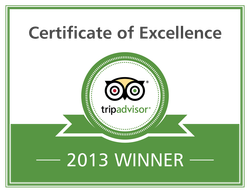 "TripAdvisor is delighted to recognize Seattle Wine Tours with a 2013 Certificate of Excellence. This prestigious award, which places Seattle Wine Tours in the top-performing 10% of all businesses worldwide on TripAdvisor, is given to businesses that consistently earn high ratings from TripAdvisor travelers". "Seattle Wine Tours is thrilled to be recognized by Trip Advisor as one of their Top 10% performing companies World Wide!! 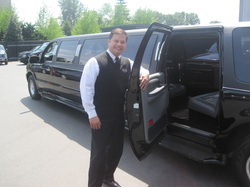 We work hard everyday to insure our clients have a memorable, first class wine touring experience. I guess the old adage that “The harder you work, the luckier you get” still applies! Thanks Trip Advisor; we appreciate this prestigious award"! Saturday and Sunday, April 20th and 21st from Noon – 4 pm in Woodinville Wine Country. 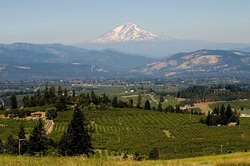 Every spring wine lovers look forward to this popular wine tasting weekend where they can swirl and sip at dozens of tasting rooms throughout Woodinville Wine Country. Tickets include a commemorative wine glass and Passport Booklet good for complimentary wine tastings at all participating wineries during the Open House weekend. Call now to make reservations or if you need additional information. Taste Washington is coming up! General Admission 2pm - 5pm Two days of fun begin on Saturday, when over 200 Washington wineries uncork their award-winning bottles, and the region’s top restaurants dish up their world-class bites … just for you! General Admission 2pm - 5pm A second day of tasting on Sunday gives you the chance to finally hit ALL of the world-class Washington wineries and restaurants you’ve been dying to visit. Try a new approach to wine tasting in our Vineyard Tasting area. Compare and contrast wine straight from the source. In addition to four more hours of tasting the amazing wine and mouth-watering bites being offered this year, Sunday also offers wine and food lovers the chance to meet one of the world’s leading celebrity chef Tom Douglas! Call Seattle Wine Tours.com 206444-Wine or 206-444-9463 for more information. TRIPADVISOR.com Rates Seattle Wine Tours # 4 in the Seattle Area!! Seattle Wine Tours #8 Best Tour in Seattle. Seattle Wine Tours is very excited that TripAdvisor.com has rated Seattle Wine Tours as the 8th best thing to do in the greater Seattle area, and the number #1 wine tour in the greater Seattle, Bellevue, Woodinville area! 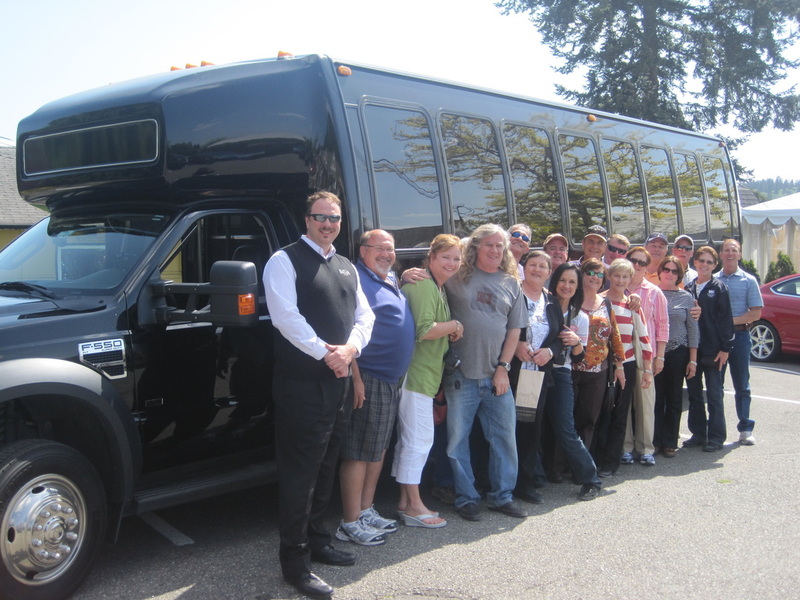 Seattle Wine Tours has worked hard to insure that our wine tours and city tours are customized to meet our client’s expectations, and by our reviews it’s working! St. Nicholas Open House In Woodinville! 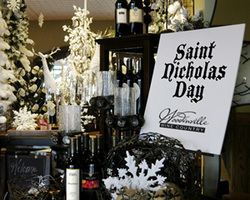 On December 3rd and 4th the wineries of Woodinville Wine Country will open their doors from 11:00am - 4:00pm for the annual St. Nicholas Day Open House. Two Day passes are $55, Sunday Only are $40. Guests will have the opportunity to taste wines from exclusive boutique wineries as well as special selections from a few of Woodinville’s more well-known participants. This will be a unique and festive holiday event where you can discover new wineries, meet the winemakers and learn about present offerings and future releases. St. Nick’s is a perfect opportunity to stock up on your favorite wines for the holidays and get that special something for family, friends, or co-workers. Participating wineries to date: Airfield Estates Winery, Anton Ville Winery, Apex at Alder Ridge, Brian Carter Cellars, Challenger Ridge, Chateau Ste. Michelle, Columbia Winery, Convergence Zone Cellars, Covey Run Tasting, Covington Cellars and II Vintners, Davenport Cellars, Des Voigne Cellars, DiStefano Winery, Domaine Ste. Michelle, Elevation Cellars, Goose Ridge Estate Winery, Hollywood Hill Vineyards, Isenhower Cellars, J. Bookwalter Tasting Studio, Kestrel Vintners, Matthews Estate, Michael Florentino, Northwest Totem Cellars, Otis Kenyon Wine Tasting Room, Page Cellars, Patit Creek Cellars, Patterson Cellars, Piccola Wines, Pondera Winery, Red Sky Winery, Silver Lake Winery, Tefft Cellars, Tempest Sol Winery, William Church Winery and Tasting Room, Woodinville Wine Cellars and XSV Wines. Call Seattle Wine Tours to arrange to take your group to this fun event!